A special graduation mass was held in the school hall on Thursday 21st June 2018. 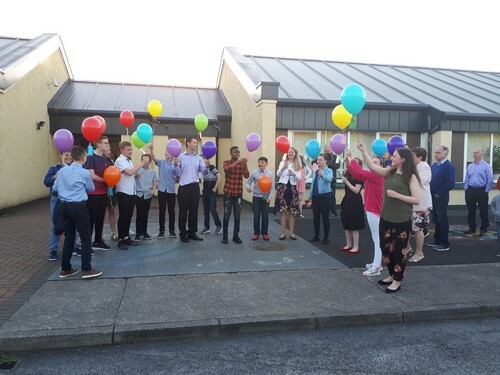 The mass was celebrated by Fr Pat Lynch and was attended by all the Sixth class pupils, their parents, grandparents, friends , members of the school staff. 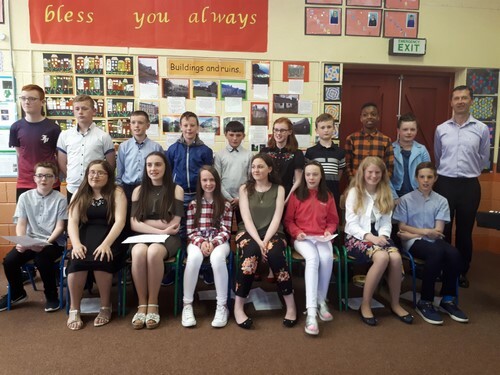 After mass Mrs Cunnane commended the 6th Class on being a credit to the school and spoke about how they had embraced all school events with interest, enthusiasm and a willingness to do their best. She thanked The Board of Management, The Parents’ Association and all the staff for all their work and committment to the school over the year. 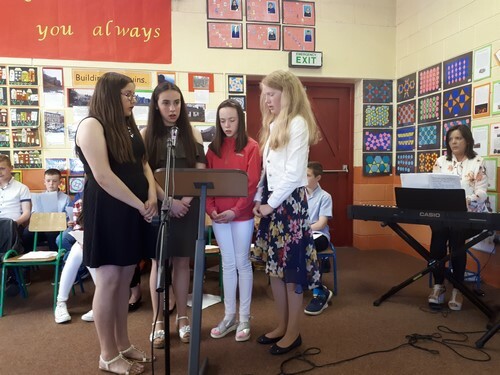 She also thanked Deirdre Lee who provided the music for the mass. The class then gathered outside where they released balloons representing all their wishes for the future. Thanks to Sinead for organising this lovely event. Watch a video clip of this.